Learning to perform lifesaving measures - such as CPR and defibrillation - on victims of sudden cardiac arrest can be difficult. 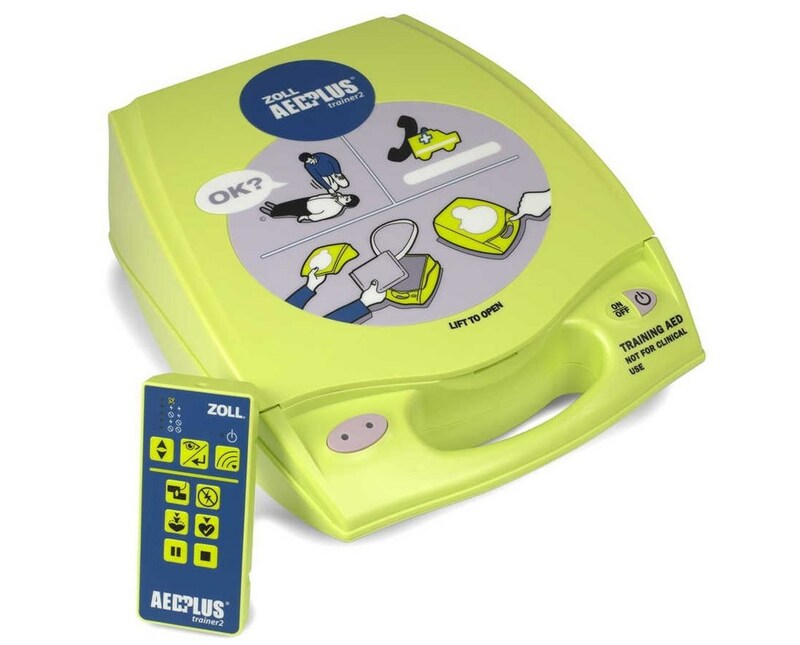 Zoll's AED Plus® Trainer2 training AED looks and acts like a real AED without delivering actual shocks and includes many innovative features to support instructor and trainee alike. Instructors use the included wireless remote control to choose from four pre-programmed rescue scenarios - shock/shock, shock/no shock, no shock/shock, and no shock/no shock - or decide to have full manual control over the simulation. The remote is capable of controlling several trainers at once for use in classes. The instructor can control delivery of the trainer's feedback (such as "good compressions" or "push harder"), control the specifications of the rescue, and pause the rescue completely with a simple on/off button to advise the student before restarting where it left off. 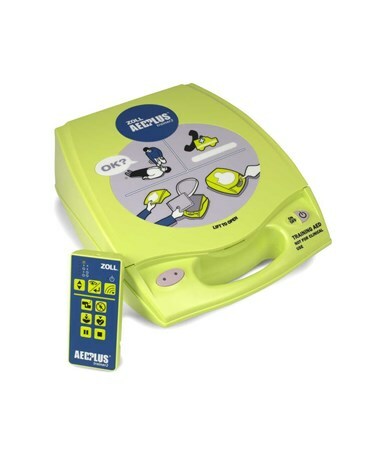 The AED Plus® Trainer2 comes complete with everything necessary to perform training rescue simulations: a set of training electrode/CPR pads, reusable gels for the pads, and batteries for both the trainer and the remote control. The main device is powered by 4 inexpensive, user-replaceable D-cell batteries that last for more than 100 hours of training. You can order this training device right now, online - simply click "add to cart" for hassle-free ordering at the lowest price!